ODOREZE Natural Odor Eliminator Concentrate: Makes 64 Gallons to Fight Odor & Clean Green Summary Green concentrated deodorizer spray eliminates odor using the power of nature. Odoreze™ Multi Purpose Odor Eliminator Spray will get rid of smell without harmful fragrances. This bio-based green concentrate deodorizer makes 64 gallons & really works! Odors doesn't stand a chance! 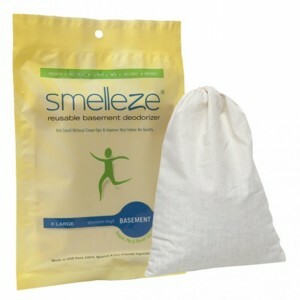 Features & Benefits • Removes odors instead of masking them • Bio-based deodorizer made from natural ingredients • No carcinogens, phosphates or harmful chemicals • Biodegradable, non-toxic, eco-friendly & effective • Economical- only costs 45 cents/working gallon • Made in USA Go Natural with Odoreze™ All Purpose Deodorizer & Cleaner We all know how bad it’s to have your business saddled with unpleasant, or overwhelming odors. Whether it’s from drains, floors, urinals, solid waste, chemicals, or effluent, getting rid of those nasty smells can seem impossible. Happily, there is finally a safe, bio-based, environmentally friendly product that doesn’t just mask, but truly eliminates, all of those problem odors, no matter the source. Defeat Industrial, Commercial & Agricultural Odors with Ease Thanks to innovative research and development, there is now Odoreze™ Natural All Purpose Deodorizer & Cleaner, the world’s cutting-edge new odor removal product that effectively neutralizes most unpleasant smells encountered in industrial, commercial and agricultural businesses. Odoreze™ eliminates odoriferous gases like ammonia, amines, hydrogen sulfide, thiols, mercaptans, butyric acid, caproic acid, etc. which are emitted from various sources like food processing, effluents, water treatment, drains, composting, tank cleaning, cooking, food, urine, feces, trash, smoke, fires, decomposition, water damage, animal waste or other sources. Even more important, it does so using completely naturally derived, safe, plant-based, toxin-free materials that don’t rely on chemicals or fragrances and without testing on animals. Easy as 1-2-3 Our all-natural, non-toxic, biodegradable Odoreze™ deodorizers are super-concentrated, so the 16-ounce containers will make a whopping 64 gallons of cleansing and deodorizing solution to treat all your stubborn smells and dirt. Simply dilute 2-4 teaspoons Odoreze™ concentrate/gallon water to make your working solution, spray on the odor source and smell the difference. Re-apply the product as often as necessary to eliminate odors. You can also just add Odoreze™ to your regular cleaning detergent and mop or clean as usual to save a step. This way you will automatically deodorize any other hard surface like urinals, sinks, restroom floors, tiles, counter-tops or sinks while cleaning it. Odoreze™ also makes dissolving slime, grease, and waste deposits easy via state-of-the-art biotechnology! 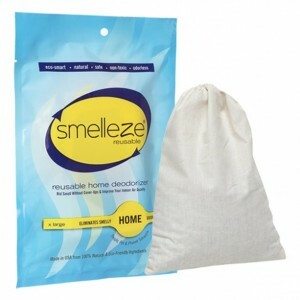 Some Odoreze, Please So don’t put up with unpleasant smells in your business. Stock up on groundbreaking Odoreze™, the economical product that knows how to get rid of odors in Industrial, Commercial & Agricultural applications of any size.